Every September, National Recovery Month is celebrated around the country to bring awareness and understanding of substance use disorders and to celebrate individuals and families in recovery as well as the professionals who helped them along the way. Prelude recognizes the importance of bringing communities together to increase the dialogue about addiction and mental health. Bringing awareness to and sharing inspiring stories of recovery can break down the barriers that keep people from reaching out for help. We strive to help people from all walks of life find the path to hope, health, and wellness. We are pleased that the Johnson County Board of Supervisors and the Polk County Board of Supervisors share our mission and signed proclamations designating September at National Recovery Month. This year Prelude hosted two regional events and facilitated a patient project. Art of Recovery – Iowa City was held Sunday, September 16 at the Terry Trueblood Recreation Area in Iowa City. 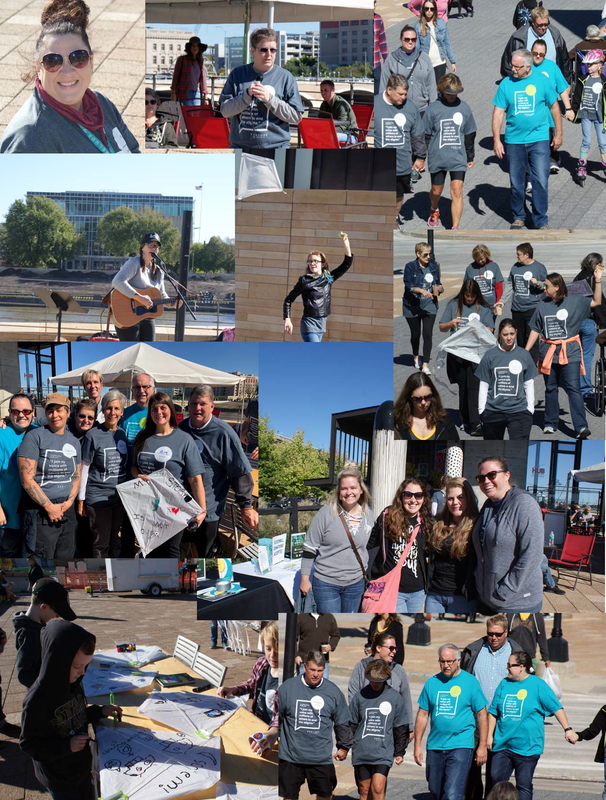 117 attendees enjoyed live music by the Ben Schmidt Trio, an exhibit of art pieces donated by patients to Prelude’s collection, kite decorating, a video of last year’s Prelude Project submissions, and a 1.9 mile group walk around Trueblood Lake. Along the walk pathway were signs carrying messages of recovery submitted by patients and the public during the past few years. A similar Art of Recovery – Des Moines was held Saturday, September 22 at the Hub Spot in downtown Des Moines. Live music was performed by Sara Routh and kite decorating was enjoyed by the kids. 41 attendees also joined the half mile group walk along the Principal Riverwalk, viewing recovery messages found along the pathway. Each year current patients participate in “The Prelude Project” activity that is shared at the Iowa City event and through Prelude's social media outlets and other marketing initiatives. Answers to the question “through recovery I have discovered . . .” are submitted by all residential, outpatient and continuing care groups. Each submission is thoughtful, personal and inspirational. The answers are also a reinforcement of the dedication of our staff to recovery. Join our mailing list to receive information on 2019 Recovery Month activities hosted by Prelude. National Recovery Month is promoted by the Substance Abuse and Mental Health Services Administration (SAMHSA), a division of the U.S. Department of Health and Human Services Administration.